Row 1: With color A, k2tog, * k6, yo, k1, yo, k6, sl 1-k2tog-psso; repeat from *, ending last repeat with ssk. Row 3: With color B, k2tog, * k6, yo, k1, yo, k6, sl 1-k2tog-psso; repeat from *, ending last repeat with ssk. 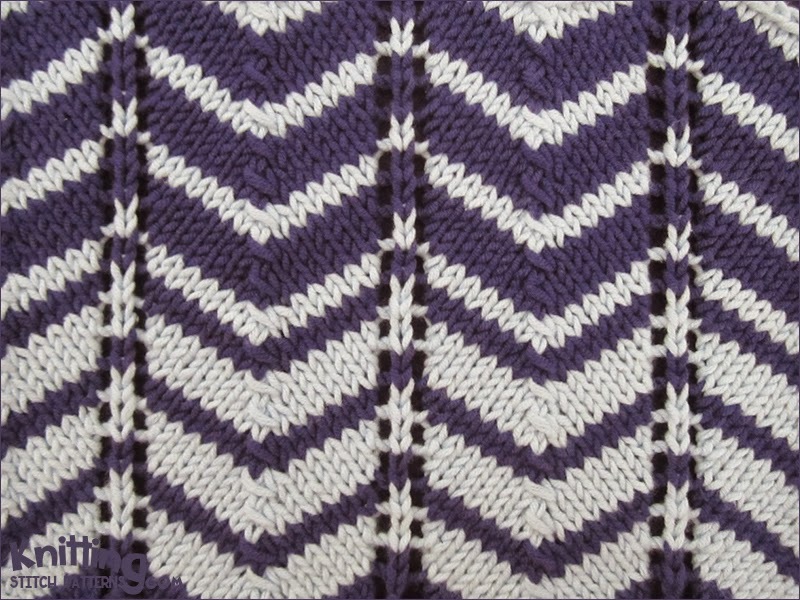 Row 4: With color B, purl all sts.